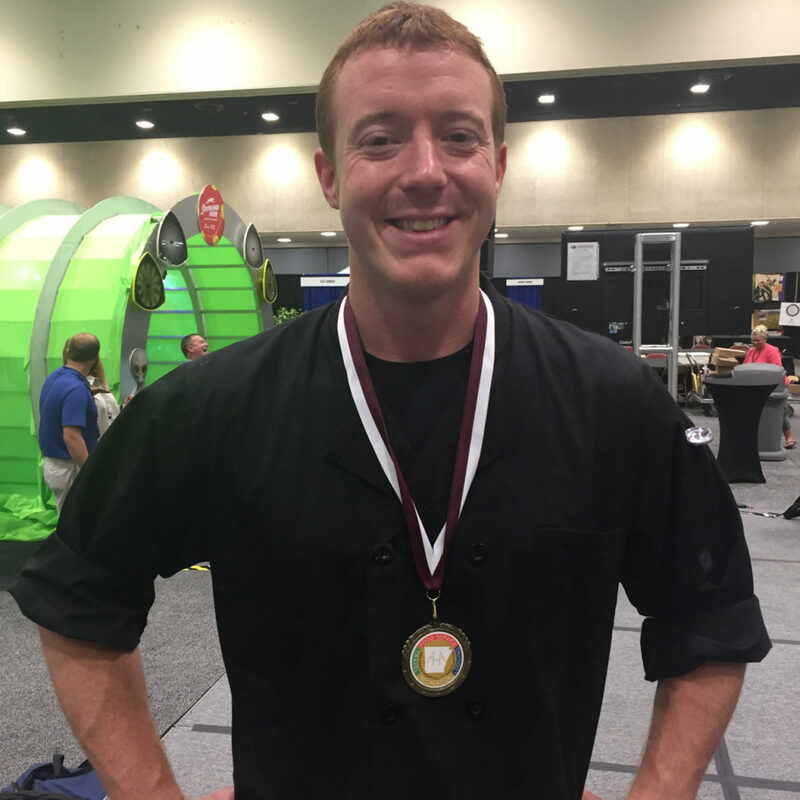 After two days of competition, Chef Justus Moll of River Grille Steakhouse in Bentonville has won the 2016 Iron Chef Arkansas competition, which takes place annually on the trade show floor at the Arkansas Hospitality Association Showcase & Convention in Little Rock. Six heats (four on Wednesday and two today) narrowed the field of Arkansas’ best chefs to the final two: Moll and Chef Casey Copeland of Little Rock’s SO Restaurant. Moll and Copeland joked together on the stage while cooking against each other during the final round, saying they had talked about this possibility before. The Iron Chef competition features a mystery basket for each heat; chefs must use all the ingredients included. 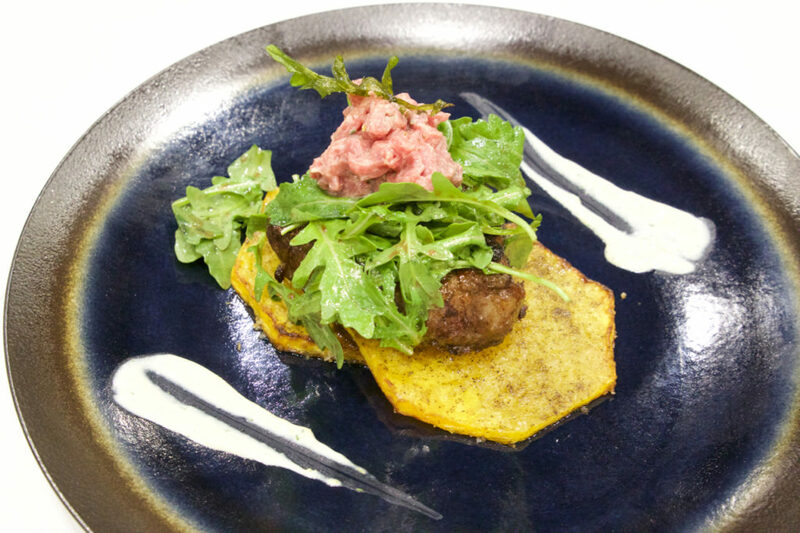 The basket for the final round included beef tenderloin, arugula, butternut squash, goat cheese and Greek yogurt. The chefs also had access to a full pantry, fresh fruits and vegetables, and a wide selection of professional kitchen equipment. 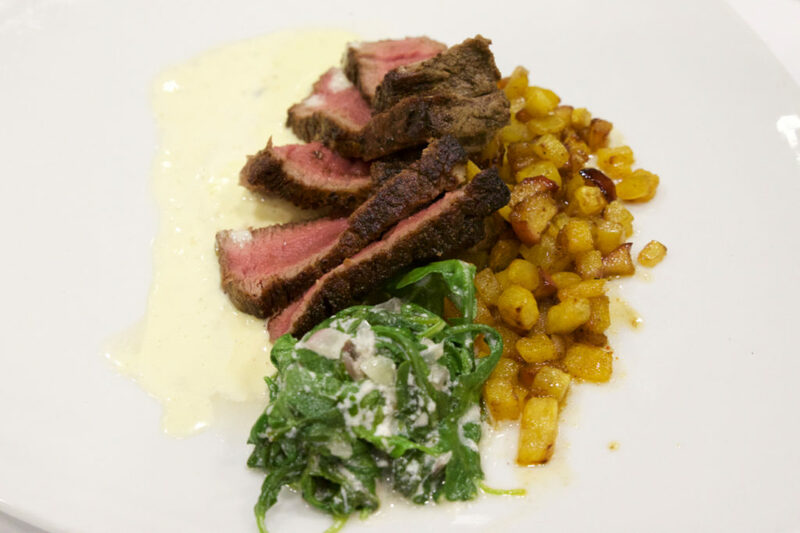 Final round winning dish by Chef Justus Moll: beef tenderloin with creamy arugula and a butternut squash and apple hash in brown butter, served with a Greek yogurt bearnaise sauce. Final round dish by Chef Casey Copeland. See our sister site at Fancy Pants Foodie for more event photos (link forthcoming).